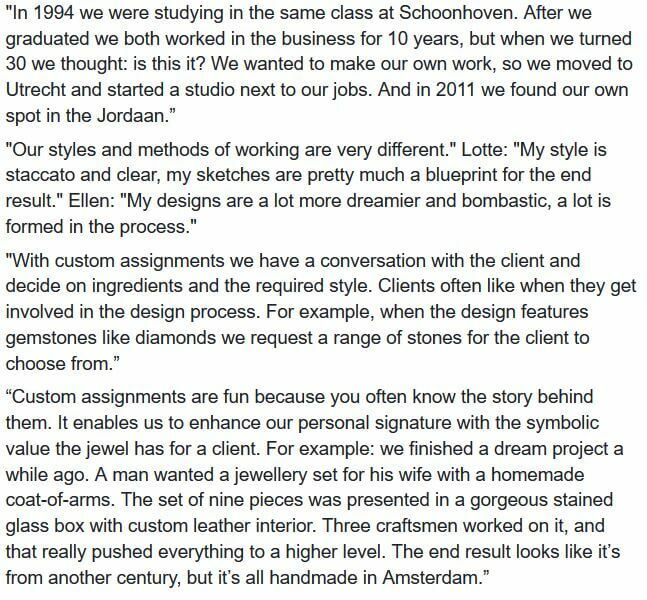 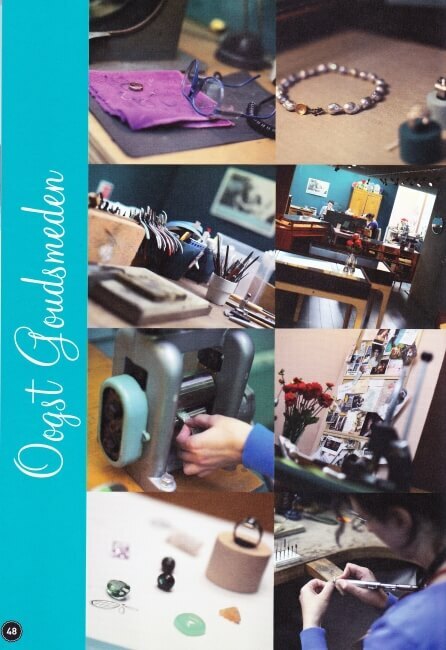 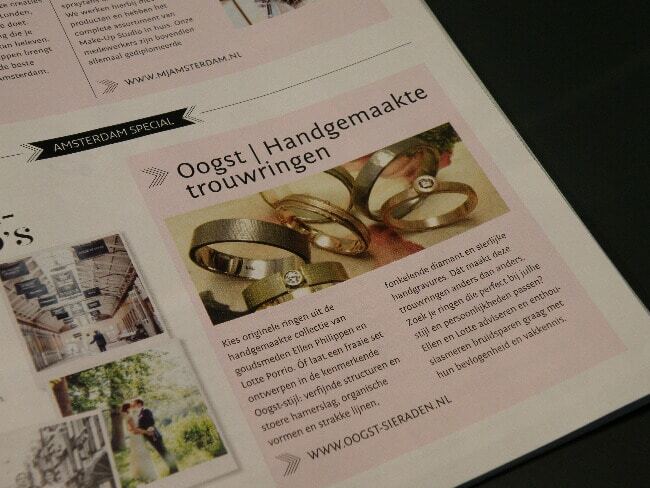 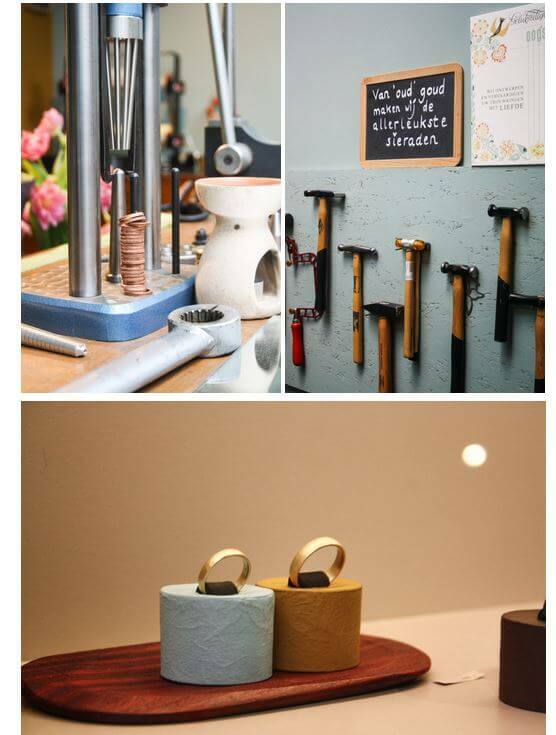 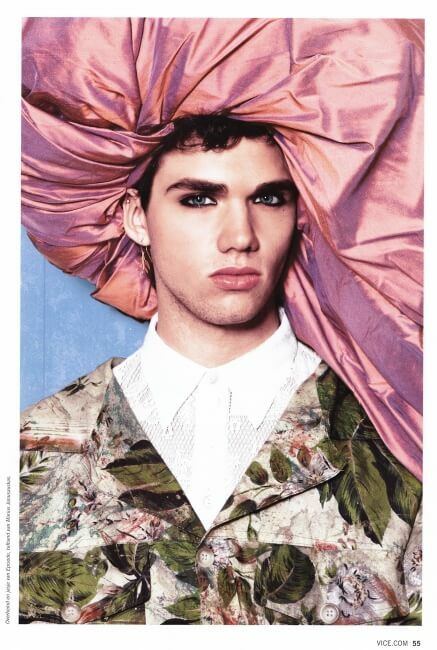 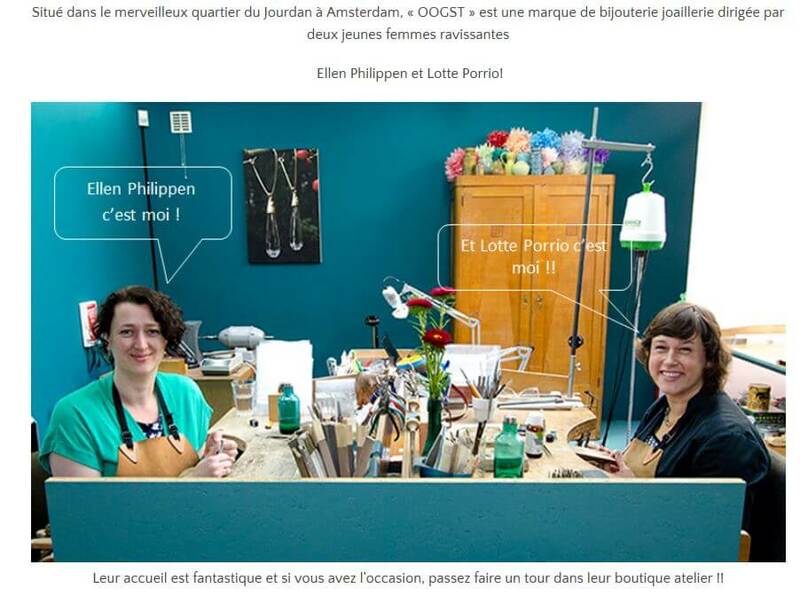 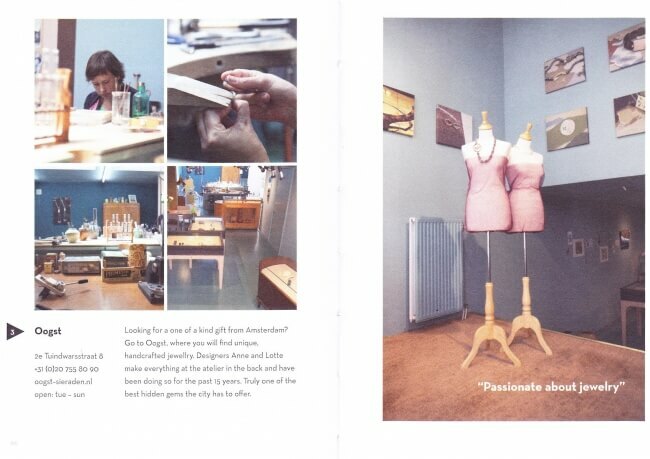 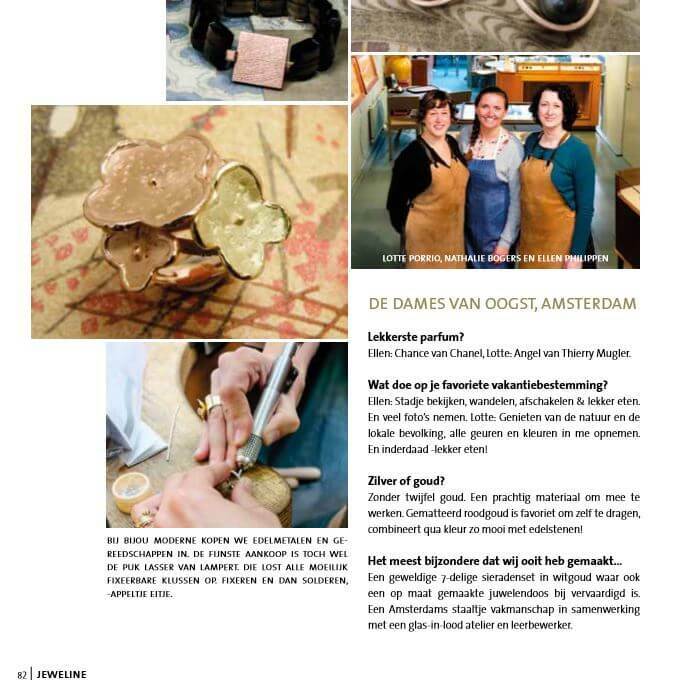 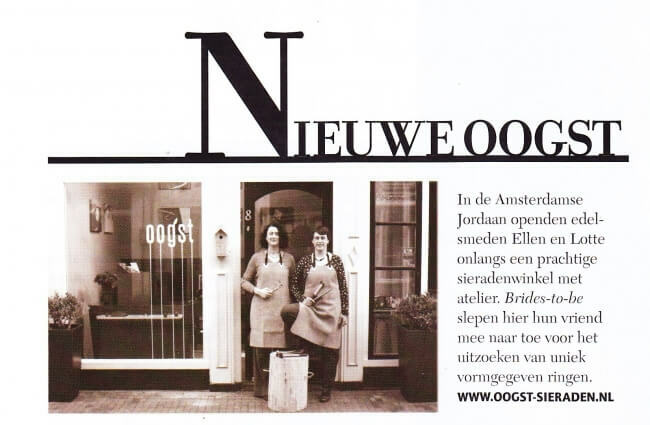 Curious about Oogst jewellery in the press? 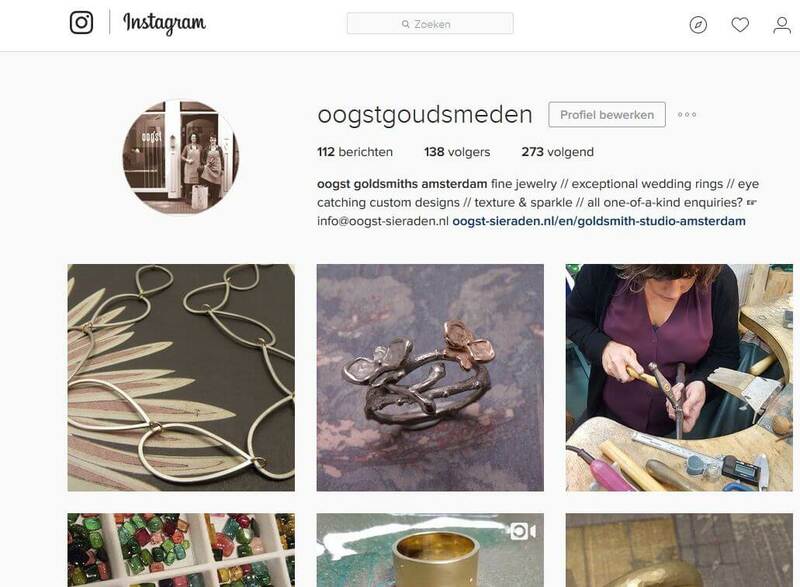 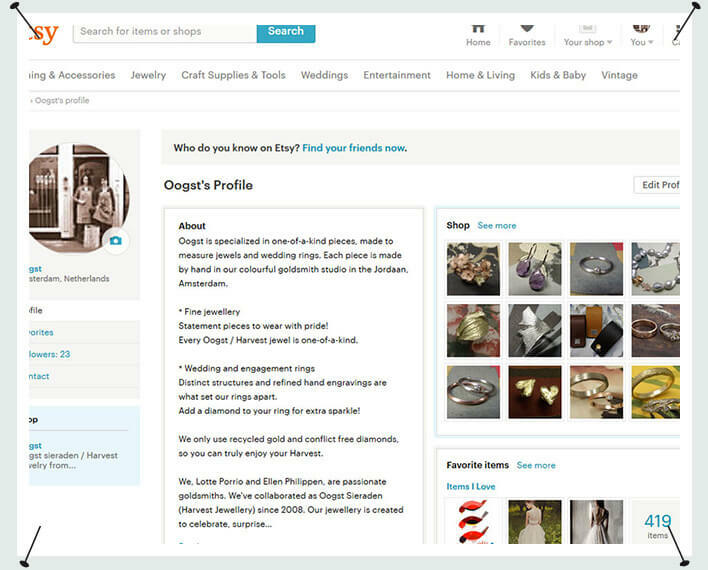 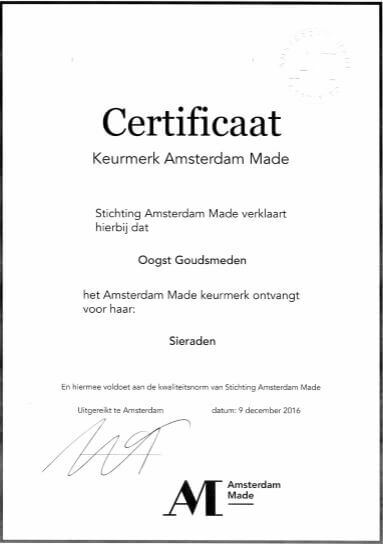 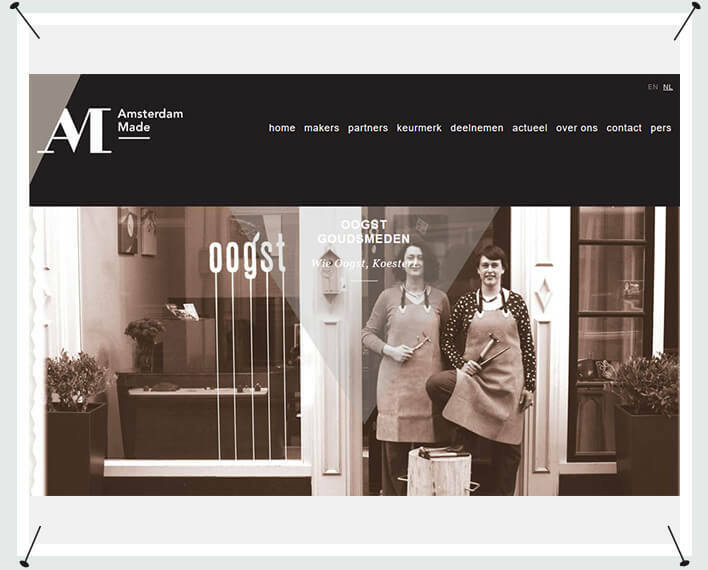 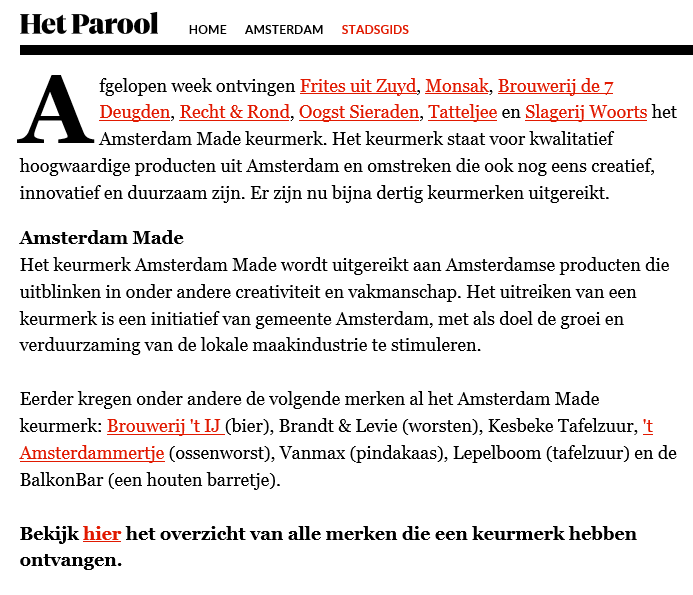 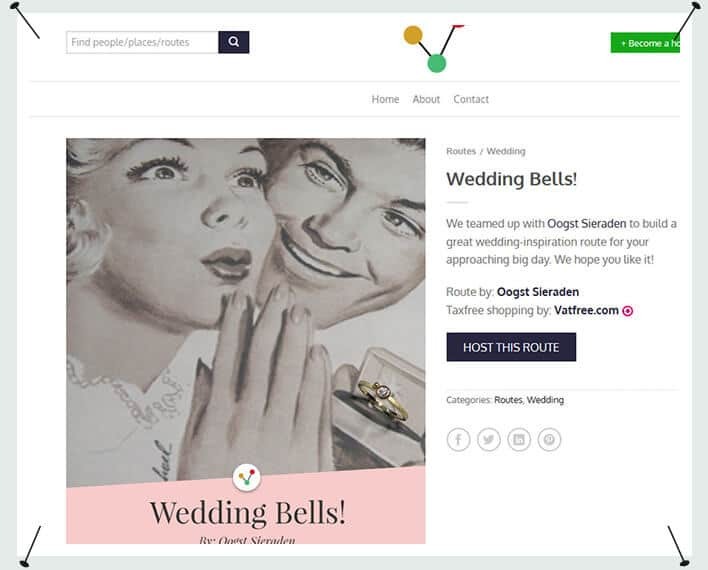 The Oogst studio is featured on Amsterdam Made, Routeselector, Girls of Honour & Etsy. 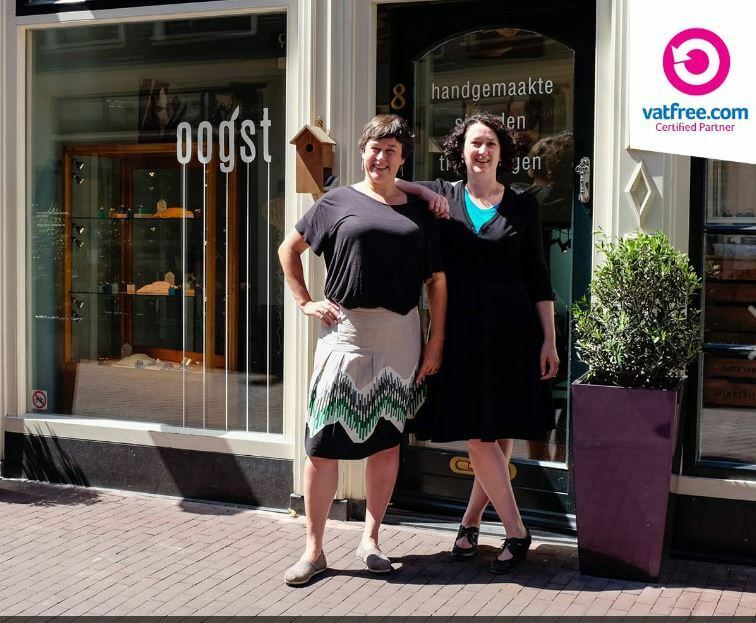 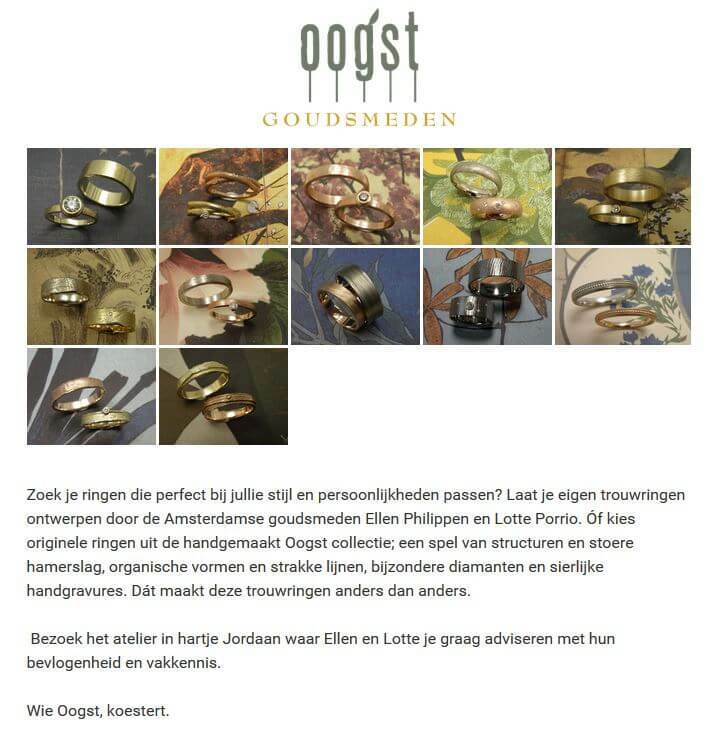 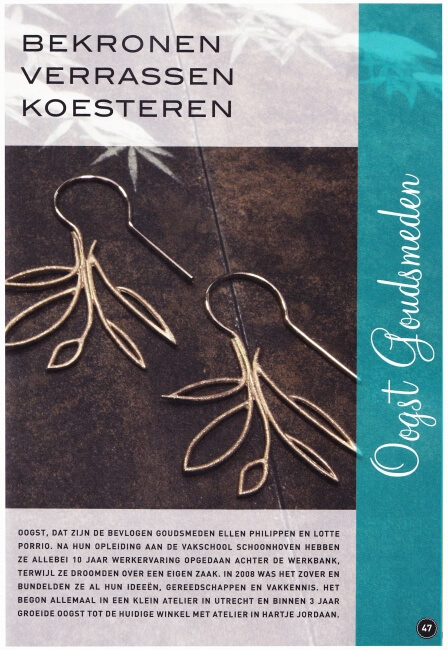 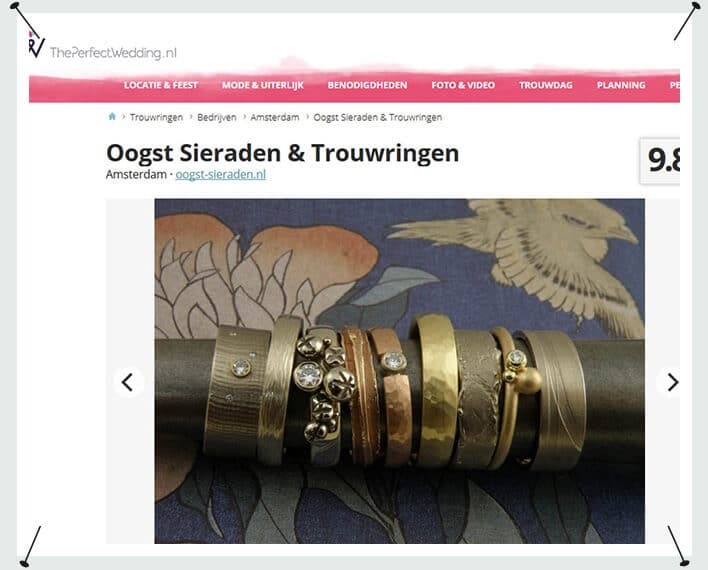 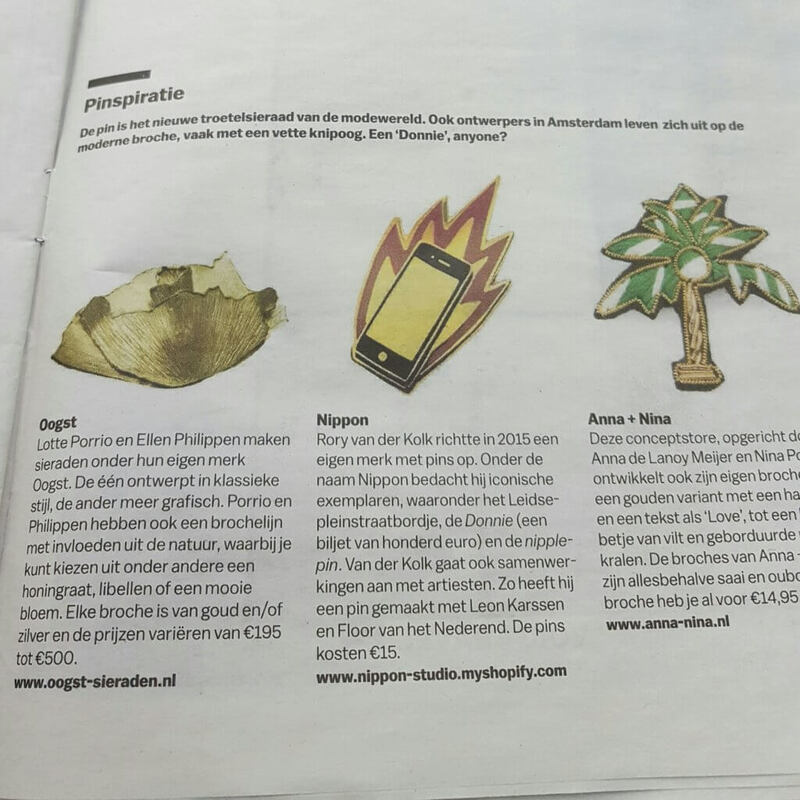 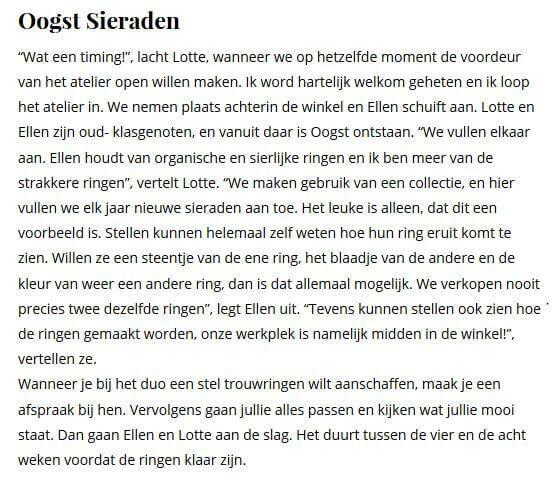 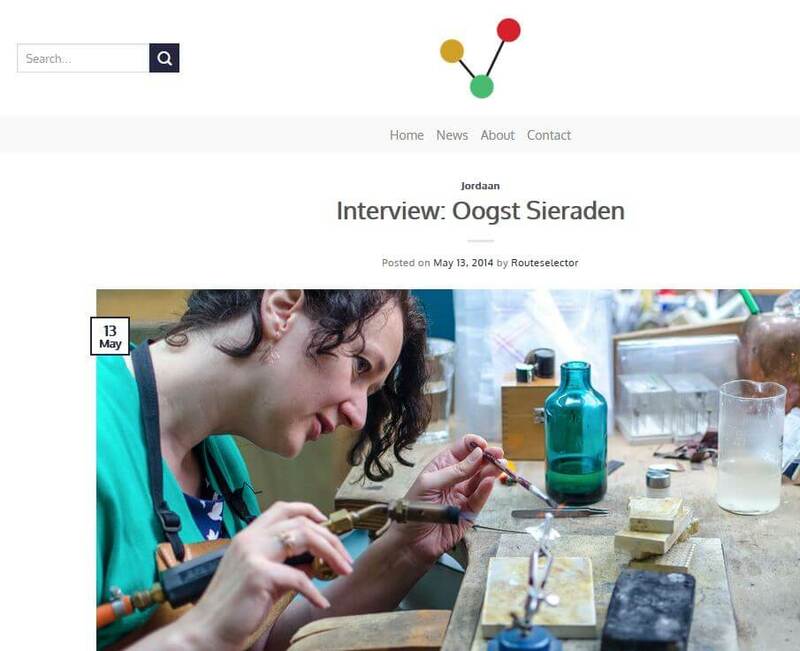 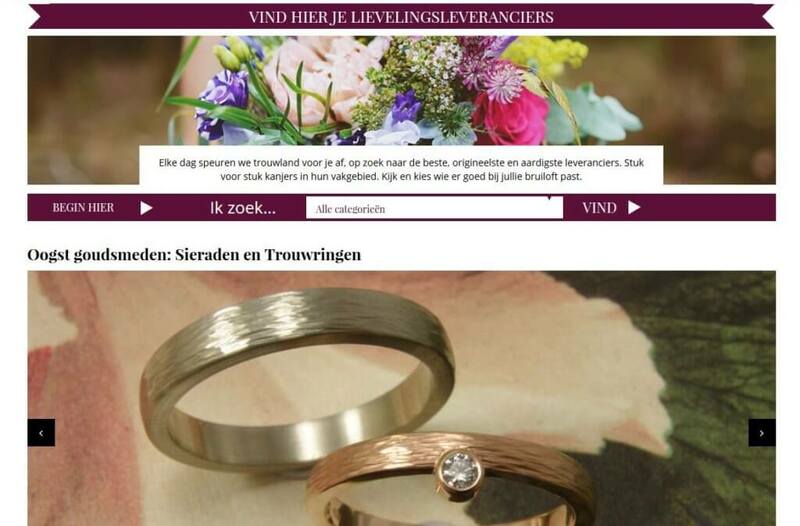 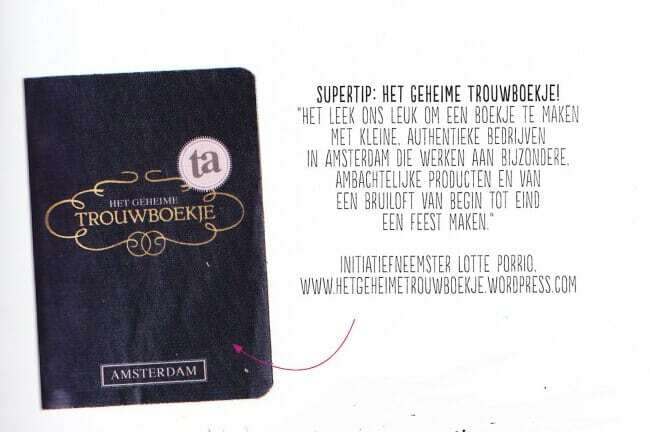 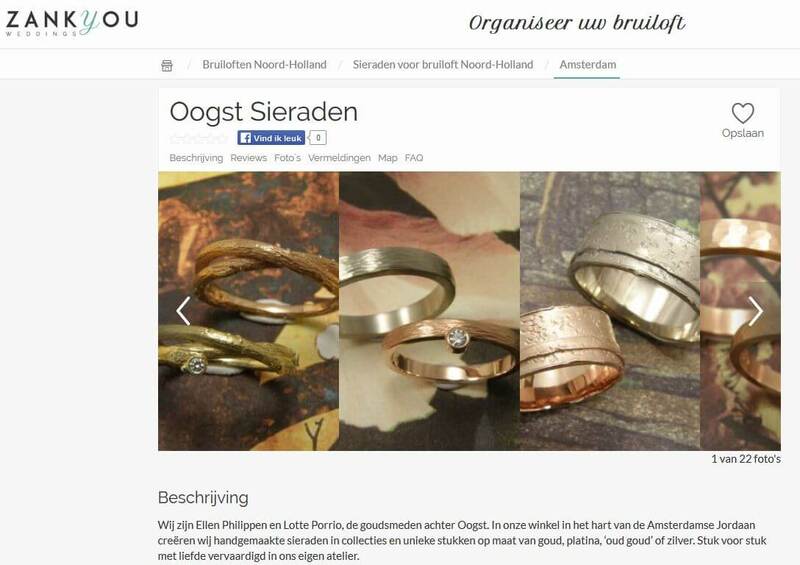 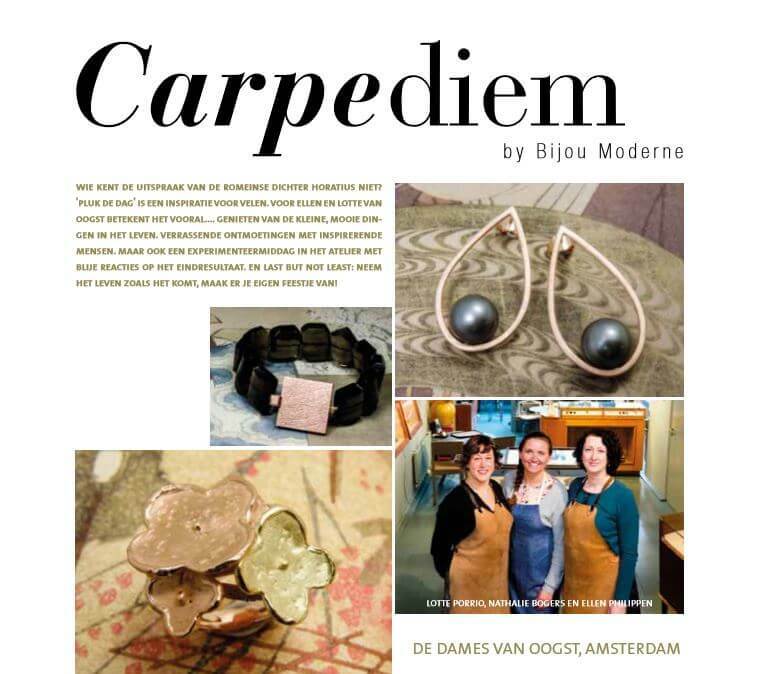 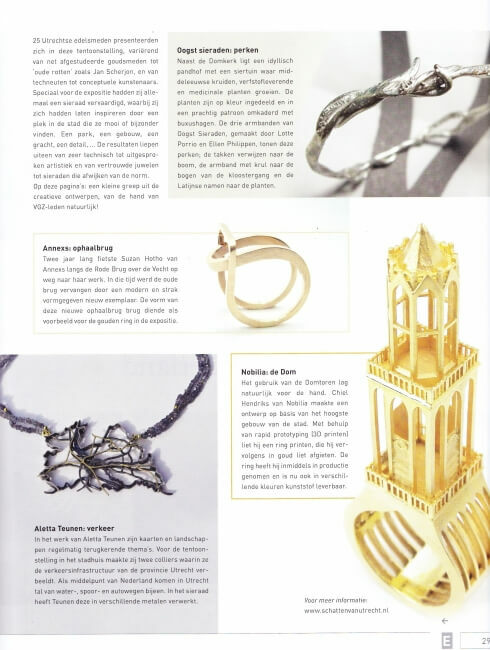 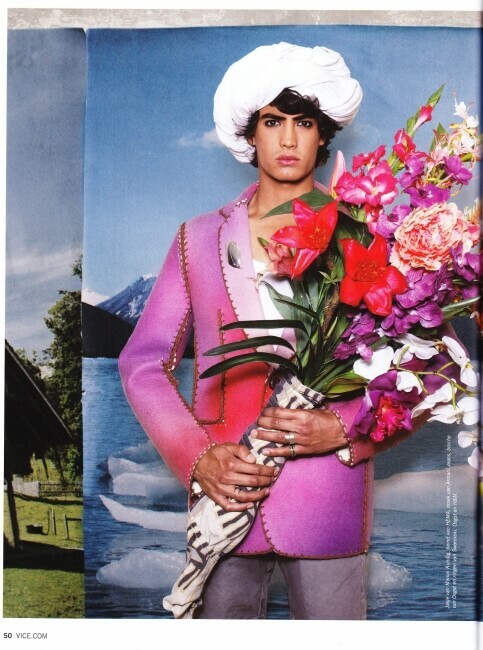 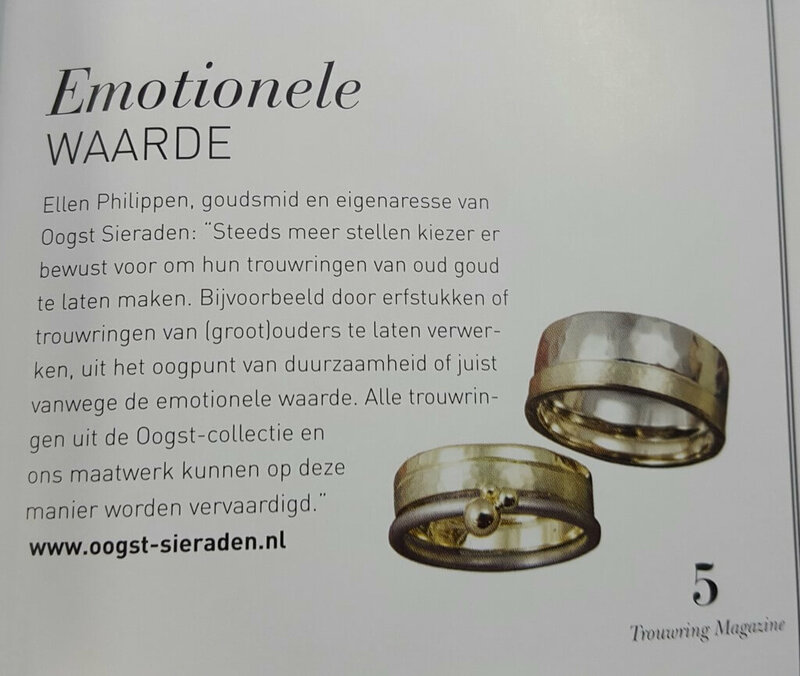 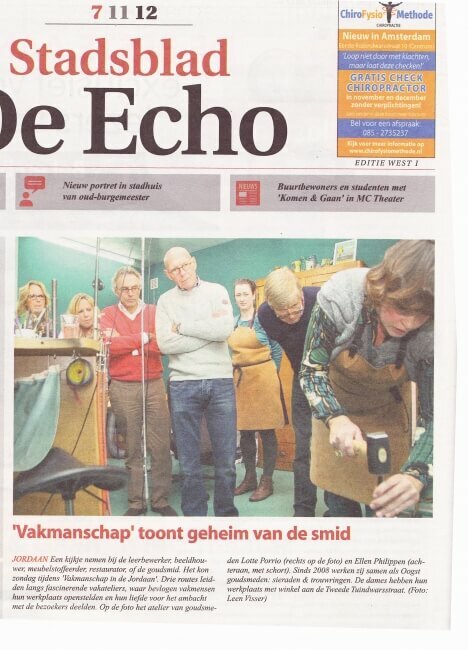 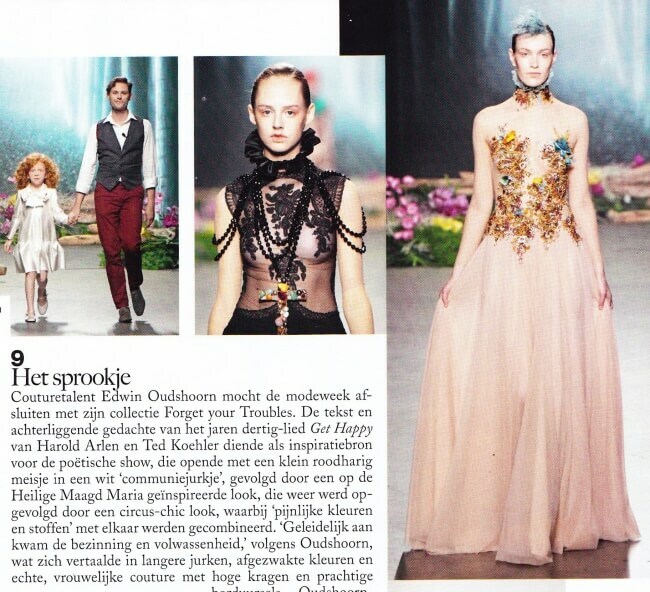 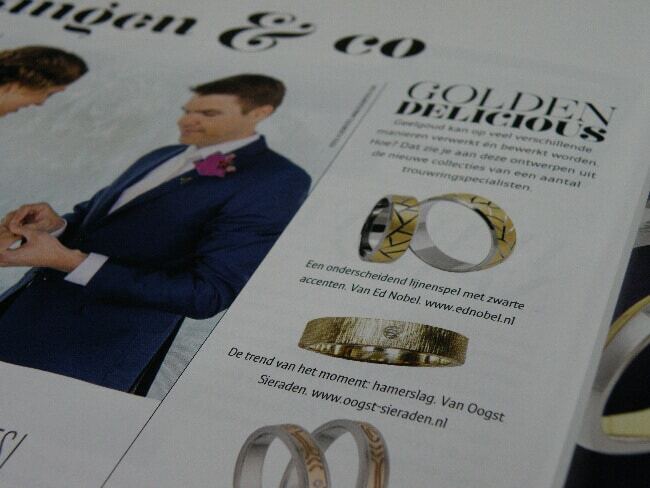 The Oogst jewellery has been featured in the newspaper Parool, the magazines Bruid & Bruidegom, EH&I, Vogue, Wit Wedding, Later, Vice Magazine & Edelmetaal. 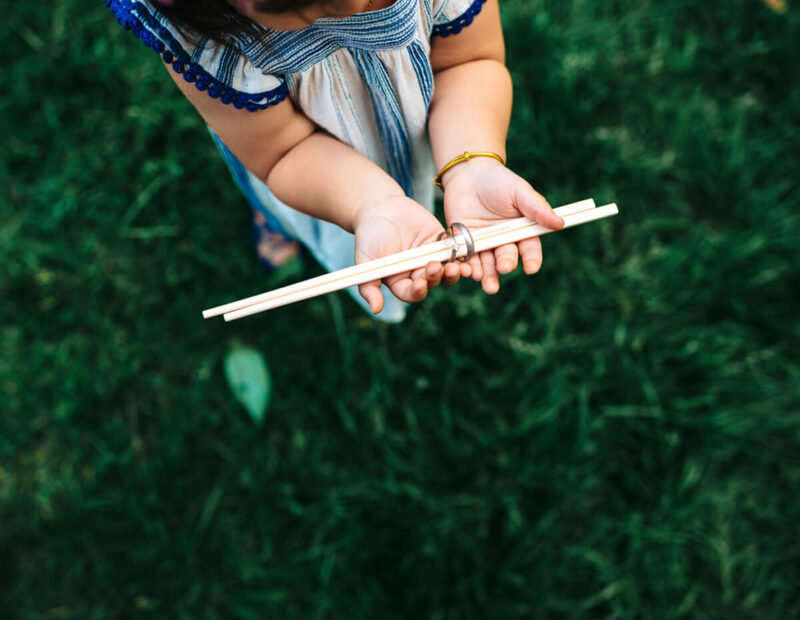 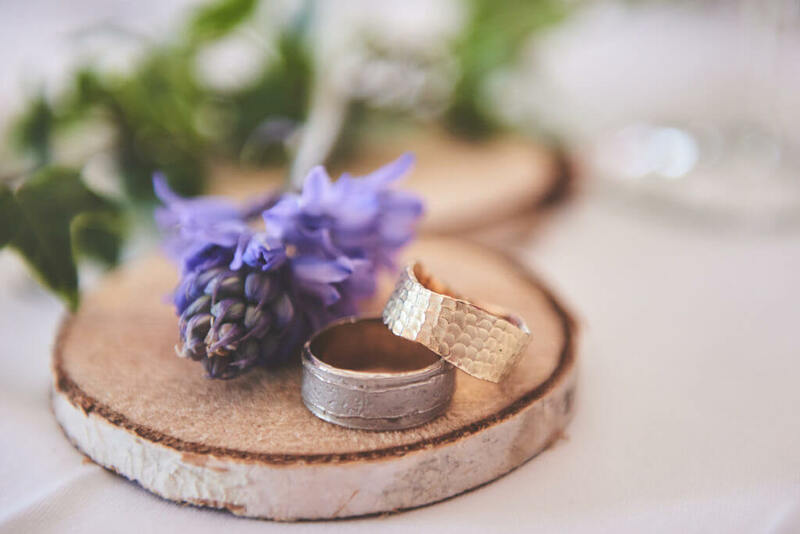 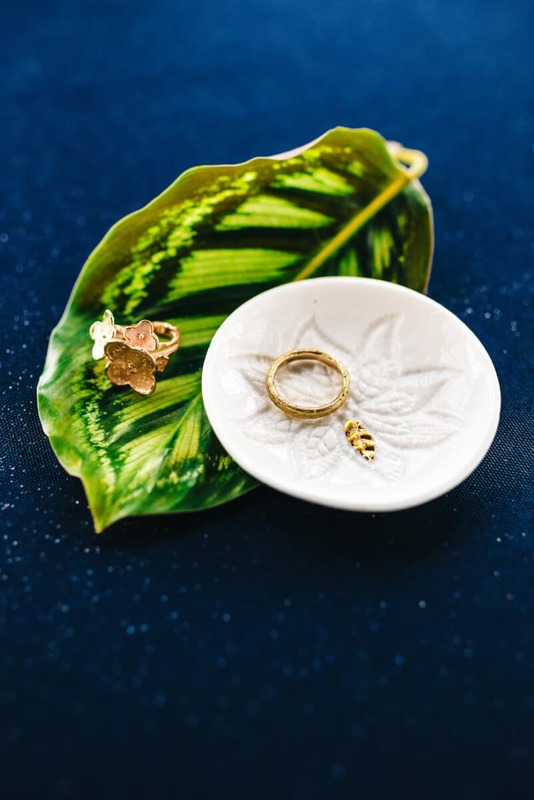 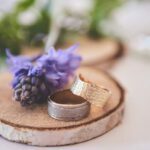 Our wedding rings frequently pop up in styled shoots. 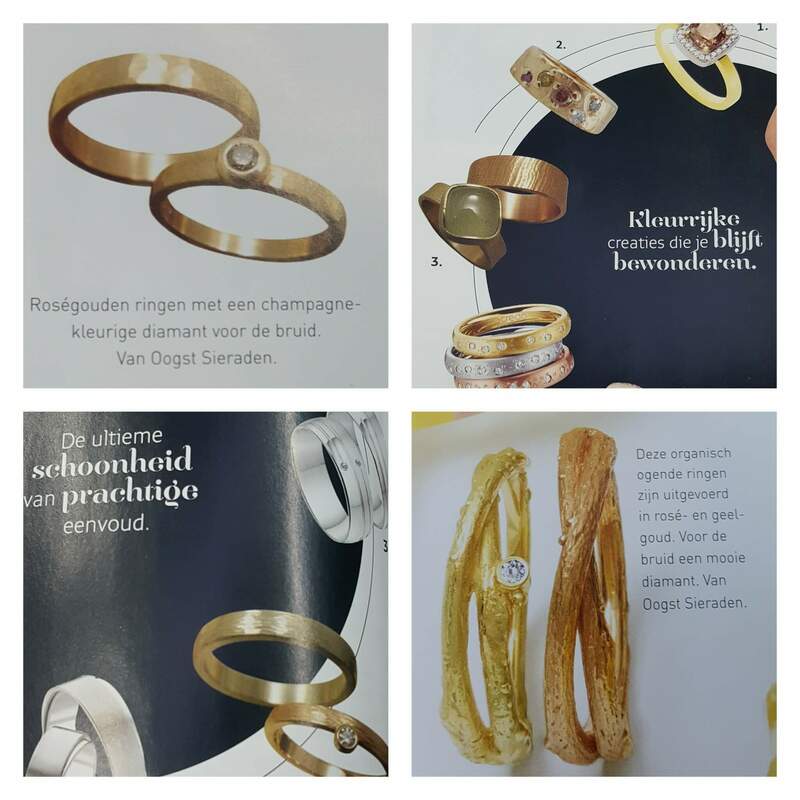 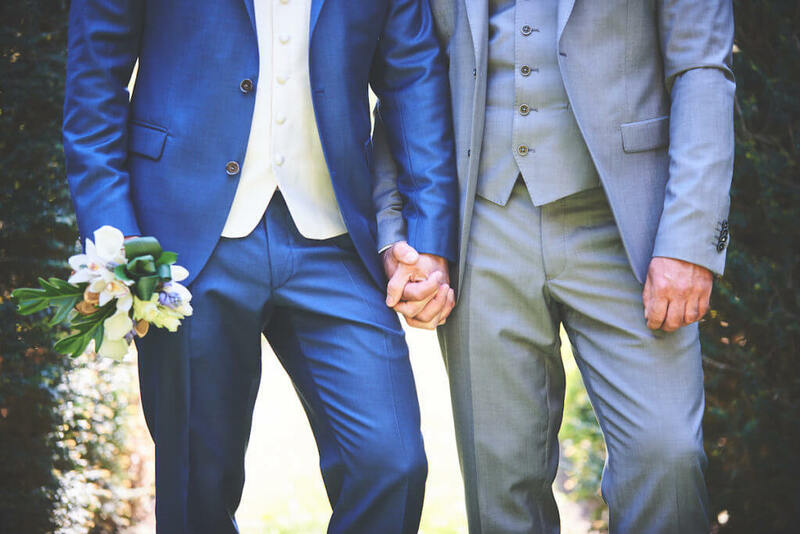 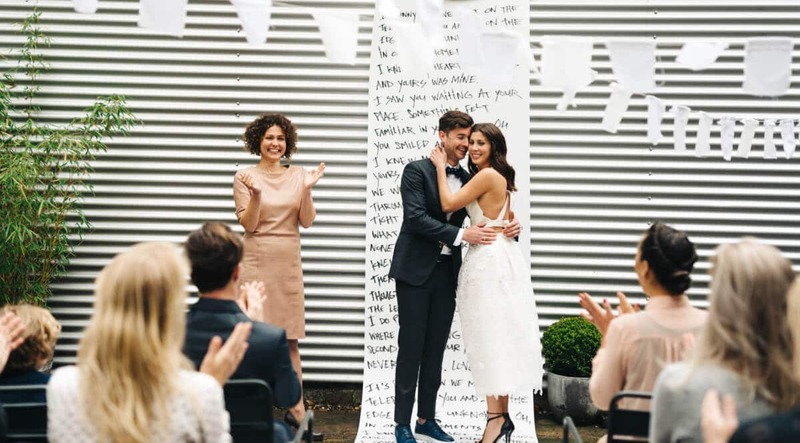 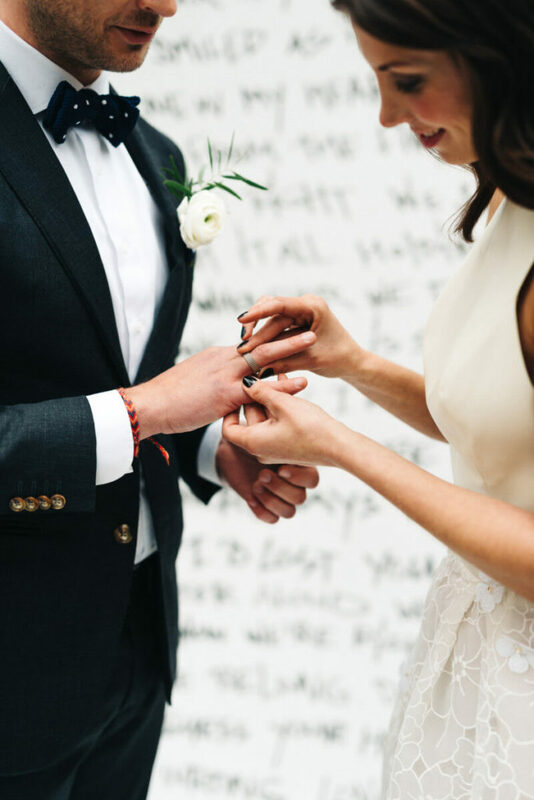 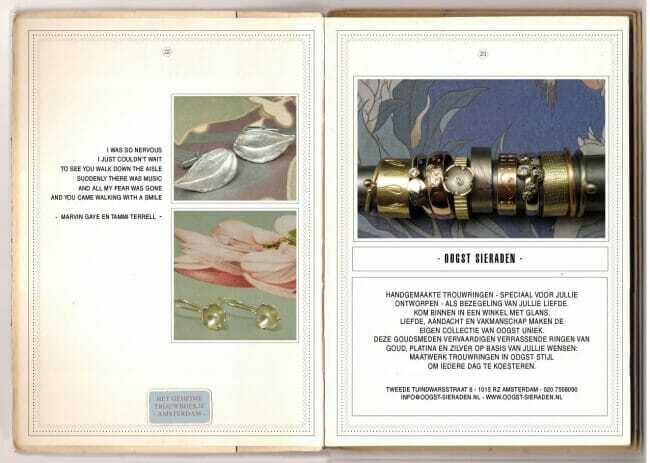 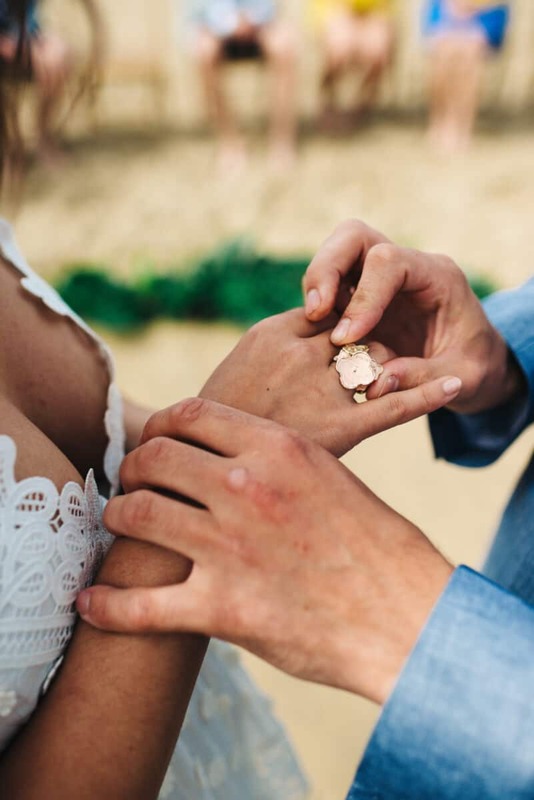 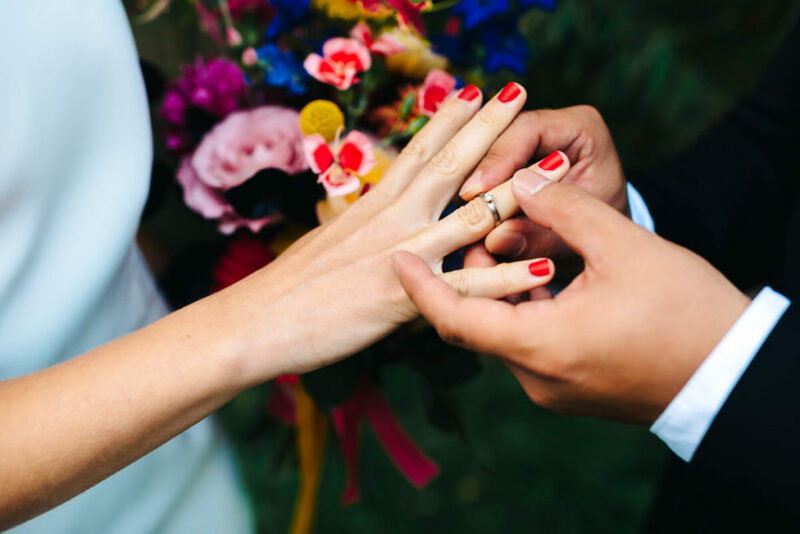 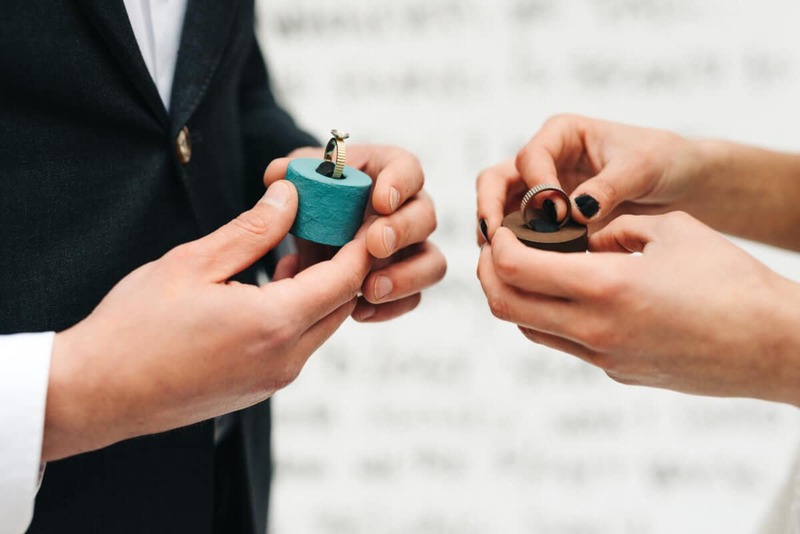 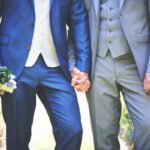 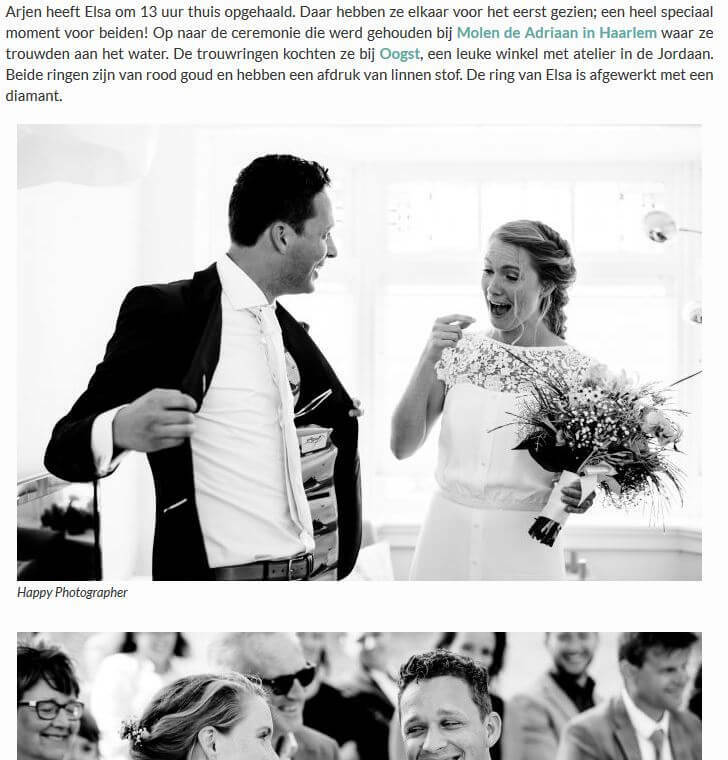 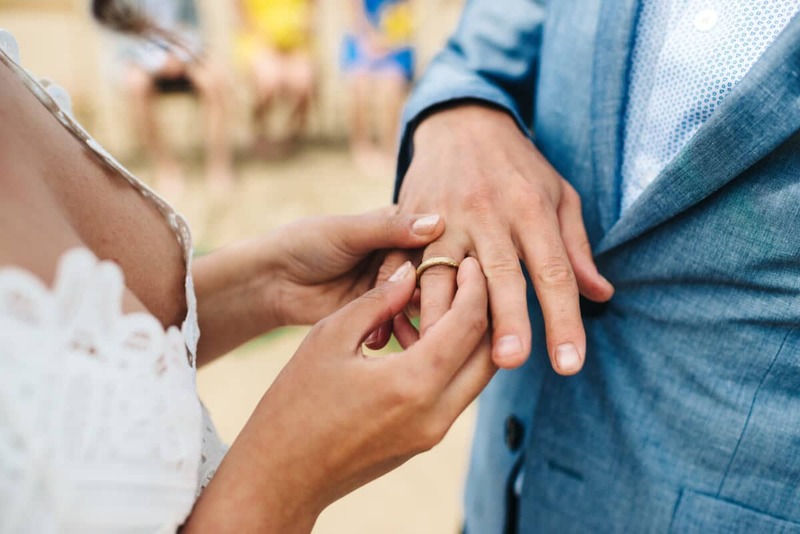 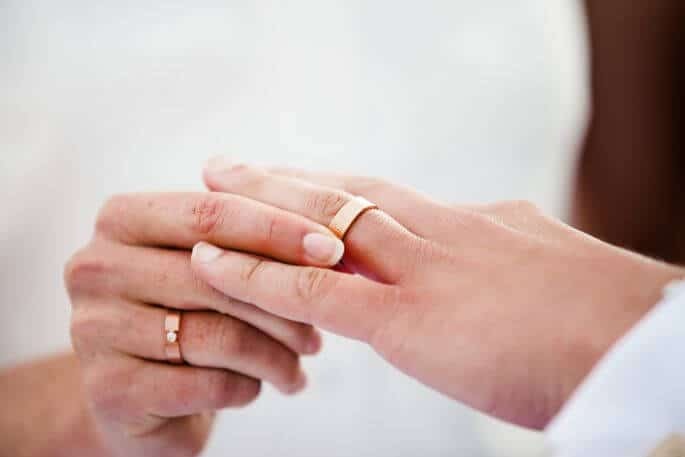 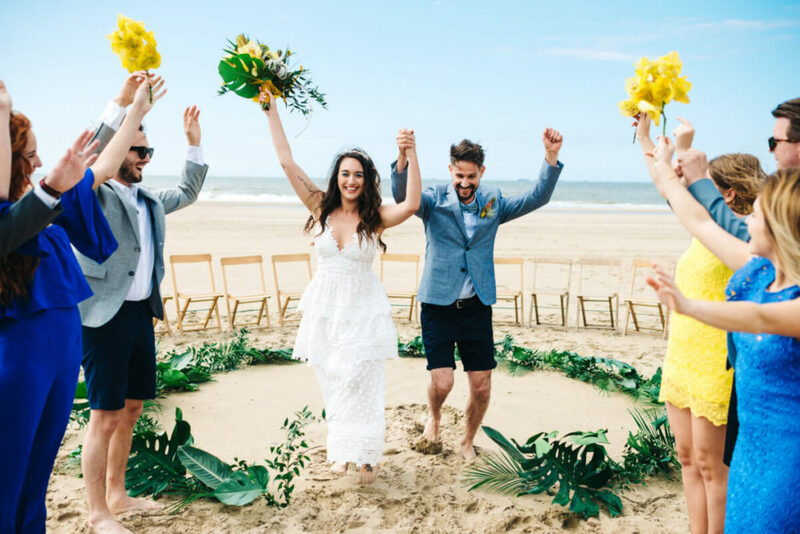 And we are super excited that the stunning inspiration book ‘Het Nieuwe Trouwen’ by Engaged and Snor has picked several of our rings for their wedding style inspiration. 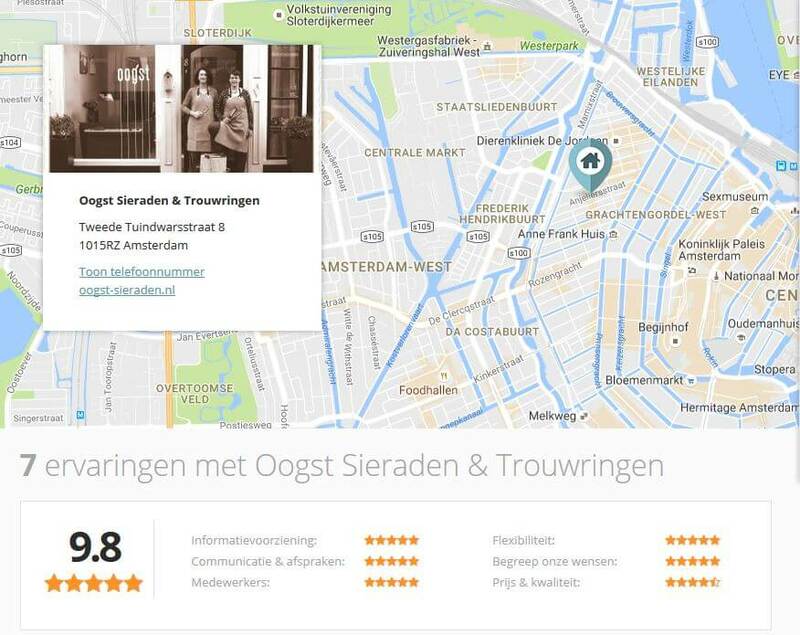 Are you visiting Amsterdam? 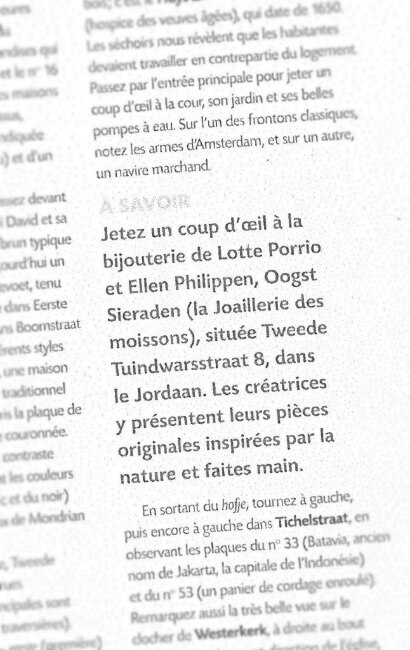 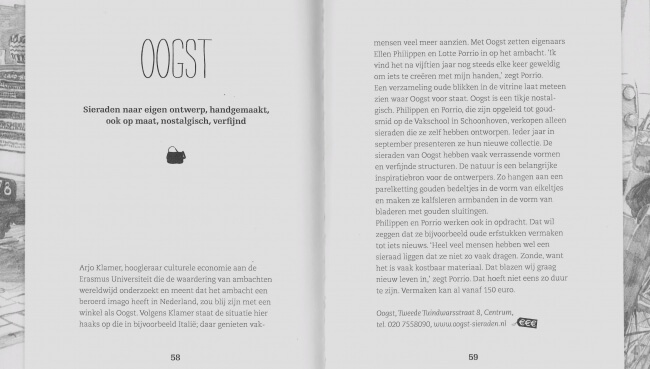 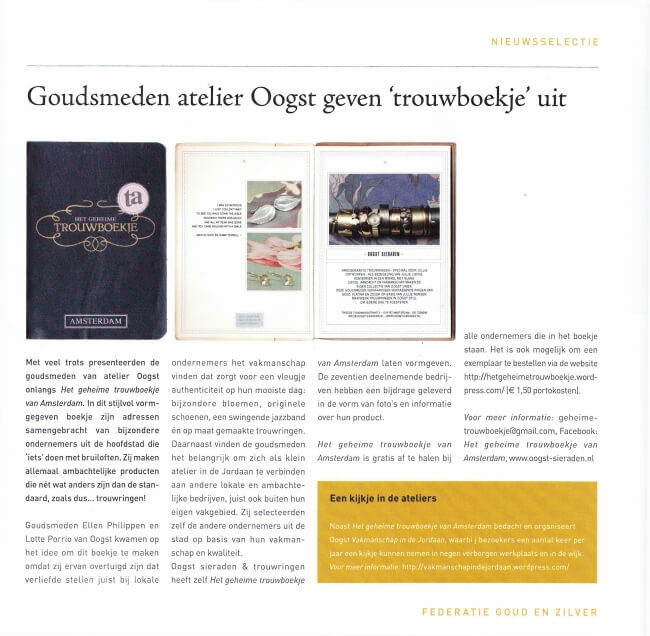 Oogst is highlighted as insider tip in the National Geographic city guide.